For some reason getting a beauty trimmer never crossed my mind but I am so happy to have one in my life now. While I don't really have any facial hair that needs to go, I do have some unwanted hair around my hair line at the top of my forehead and my brows always need work so it was perfect timing when Beauty Crowd asked if I wanted to review this YOSO Beauty Trimmer*. Inside the box is the trimmer itself, with stunning gold butter packaging, 2mm/4mm trimming attachment, hygienic cleaning brush and the information manual. This little trimmer does need a AAA battery so make sure you have one on hand when this arrives so you can use it straight away! 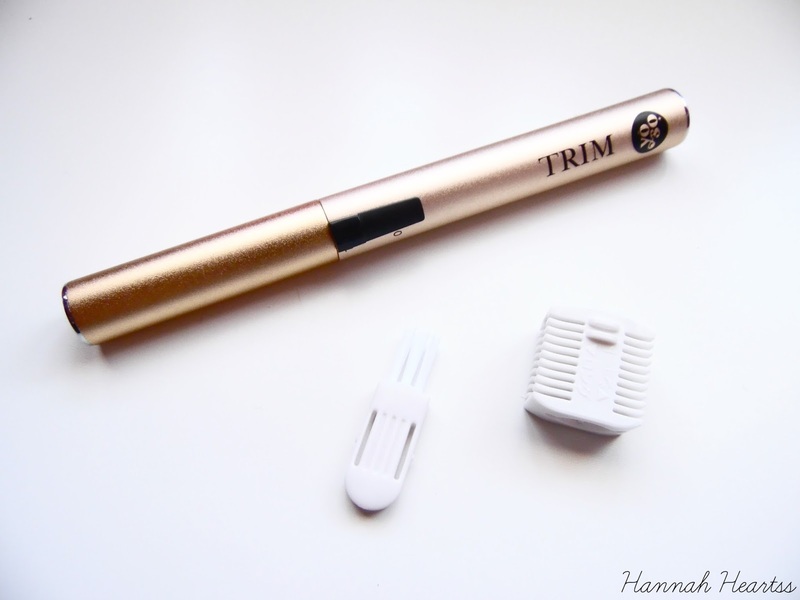 The trimmer itself is very compact and lightweight so would easily be left in your handbag or travel makeup bag and you wouldn't even know it was in there! 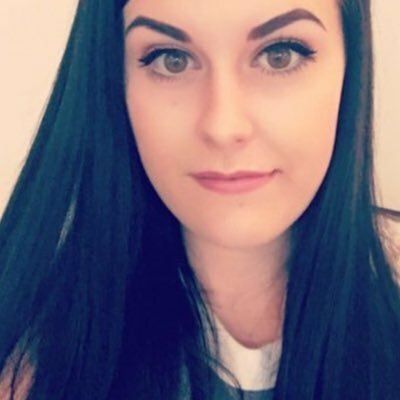 I have been loving using it for my hair line around my forehead as I mentioned. I have always had millions of baby hairs which always annoyed me so I started cutting them about a year ago. Since I got this little guy I have found it so much easier to get rid of those hairs in a pain free quick way! 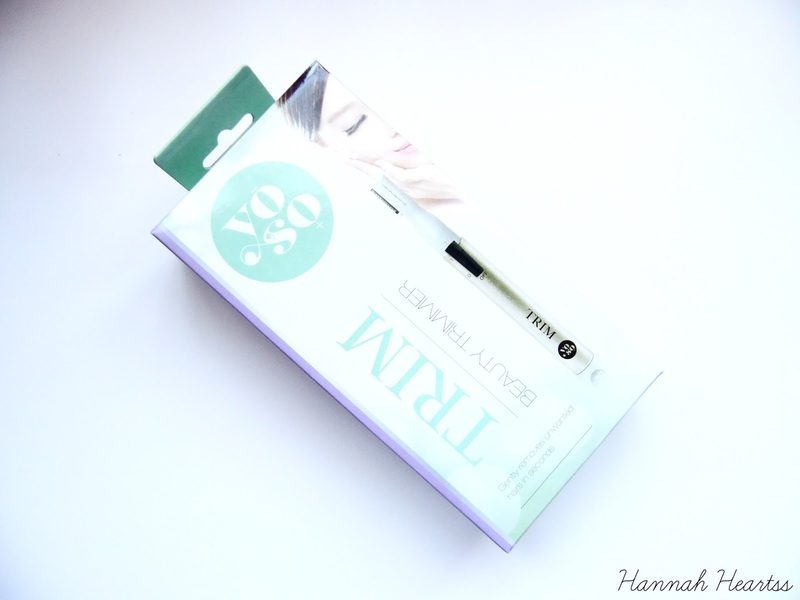 I have also found that it is great for getting rid of unwanted brow hairs. I get a few random hairs in the temple area near my brows which when I tried to pluck them I was always unsuccessful in getting rid of them all but with this it got rid of them all within seconds. Each time I have used this I have found it to be pain free which is a great plus as I am a bit of a wimp. 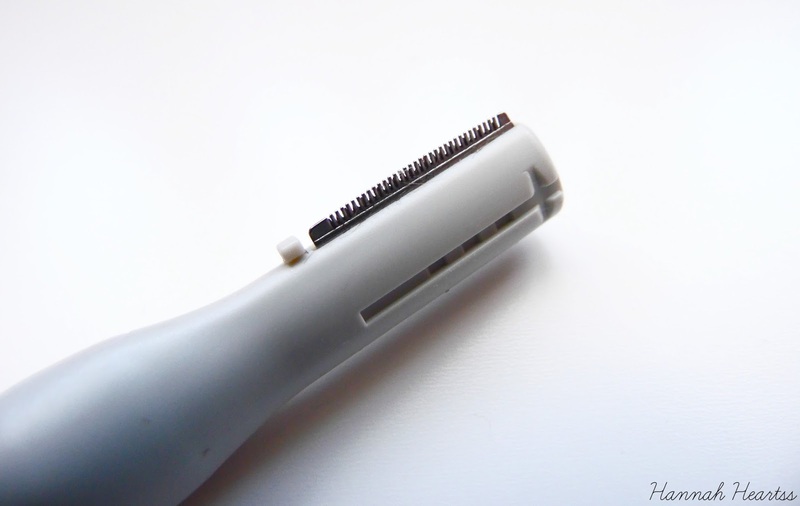 You can use this trimmer pretty much anywhere, from your hair line to upper lip to brows. You can also use this on your arms and legs too which makes it a great all round product. If you put the little attachment on it, you can trim your eyebrows with ease and know your not going to end up without any eyebrows! To clean YOSO Trim all you have to do if wipe it with a clean towel and use the little cleaning brush which was included in the box to get rid of any build up hair in the trimmer. Its that easy! I would highly recommend YOSO Trim if you are struggling with getting rid of all of your brow hair or if like me you have a lot of baby hair around your hair line which you want to get rid off. YOSO Trim retails for £17.99. Have you tried YOSO Trim? What did you think?